In 1947, Bobby Jones asked Robert Trent Jones, Sr., to polish up the pitch-and-putt 16th hole at Augusta National. 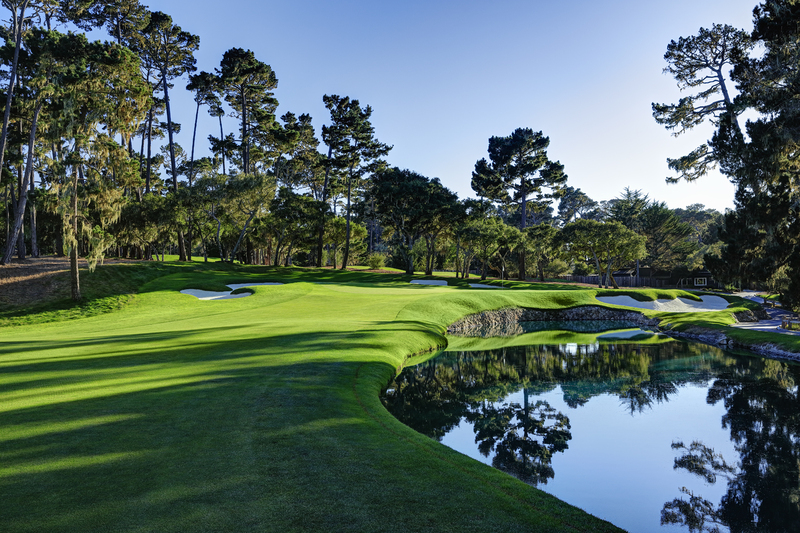 The eventual architect of Spyglass Hill responded by dreaming up one of the most iconic tee shots at Augusta, installing an intimidating pond and building a sweeping green full of intrigue. Visual and strategic drama merge harmoniously throughout Augusta National’s back nine, reaching a crescendo at the par-3 16th. The hole wasn’t in the original design. Robert Trent Jones Sr. created it in 1947, and the hole soon became a favorite of President Dwight D. Eisenhower, who once committed it to canvas with his paintbrush. Trent Jones Sr. later authored a wooded wonder on No. 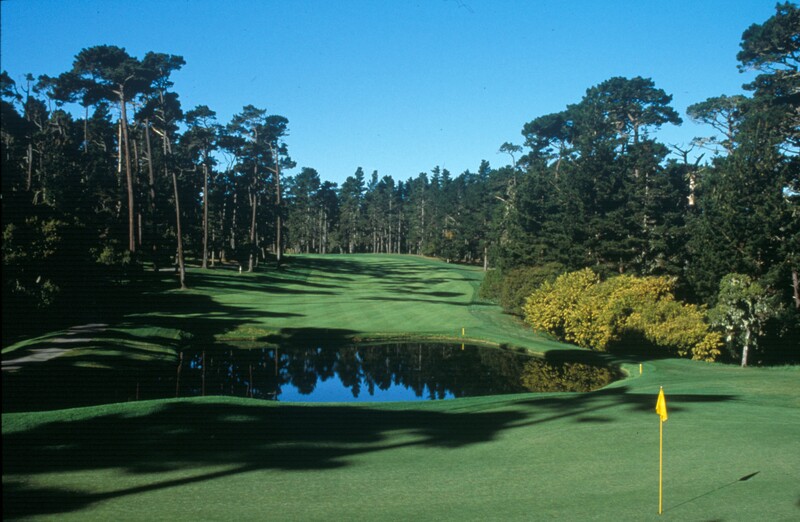 12 at Spyglass, where the shot demands are similar: Aim at the water-guarded left side at your peril, but bail out too far right and face a scary downhill recovery with a pond lurking beyond. In 1950, Trent Jones was again requested to work his magic at Augusta. This time, he used a pond to protect the left side of the green at the prayer-prompting 11th hole. His creation bridged maybe the most famous three-hole stretch in golf. Shortly thereafter, it was dubbed Amen Corner by Hebert Warren Wind. 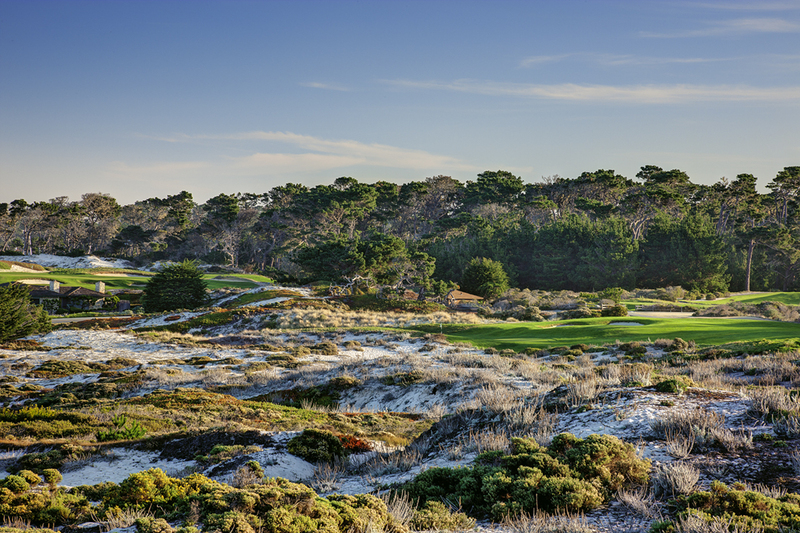 In 1966, Trent Jones built his original masterpiece at Spyglass Hill, tucked into the unique snow-white sand dunes and majestic Monterey Pines of Pebble Beach. Golf Digest even proposed that it might be the best course to never host a major championship. The New Jersey native saw a chance to build his own sandy Pine Valley — this one with an exceptional ocean view — for the first five holes, before sending the rest of the course quietly into nature while traversing rolling hummocks and valleys — a lot like Augusta. 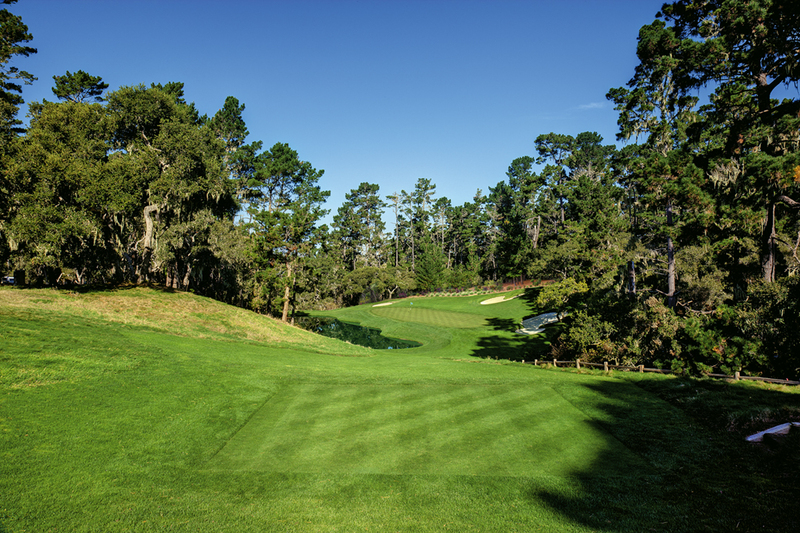 Given the task of designing a course just up 17-Mile Drive from Pebble Beach and Cypress Point, Robert Trent Jones responded with a combination of Pine Valley and Augusta National. Add several water hazards that harken back to the 16th at Augusta (a hole which Trent Jones designed, by the way), and you have what some panelists consider to be Trent’s finest work. 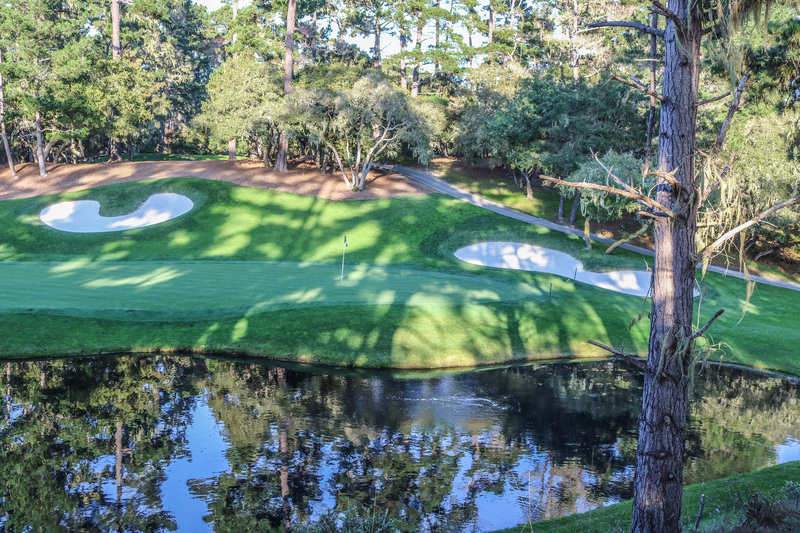 Trent Jones brought those Augusta ponds to several woodland holes at Spyglass: No. 7, No. 11 (although it was ultimately replaced in 1996), No. 12, No. 14 and No. 15. 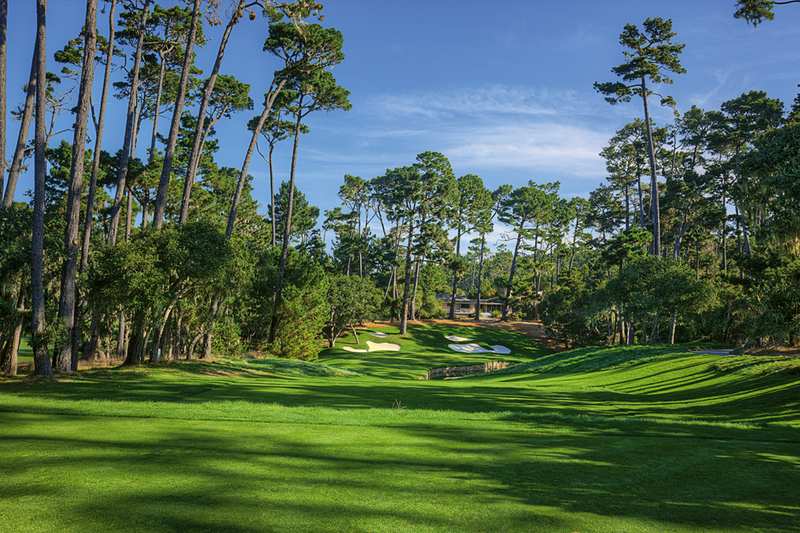 Spyglass Hill had everything but blooming azaleas and a tinkling piano soundtrack when it co-hosted the 1999 U.S. Amateur. Many of its raised greens featured rough-less shaved banks just like Augusta, repelling less-than-perfect shots down slopes — and even back into ponds. It’s no wonder that, with a setup maxed out to a slope of 155, no player in the field broke 70, and the scoring average was just a shade under 80. Enjoy The Masters this week! And remember, as you enviously watch play on some of the tournament’s most iconic holes, you can also find some of that same Trent Jones beauty sprinkled throughout the back nine at Spyglass Hill.